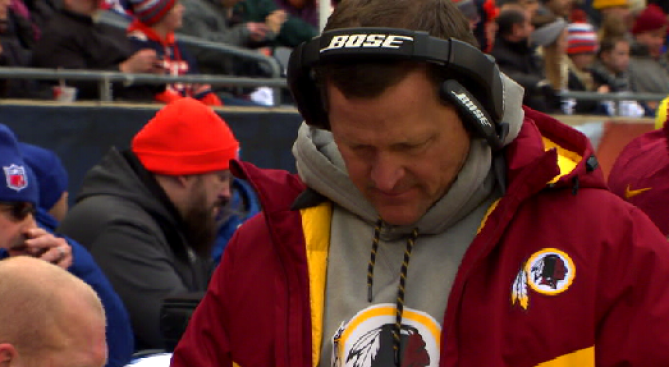 The Washington Redskins let go of defensive coordinator Joe Barry and three other assistant coaches Thursday. In addition to Barry, the Redskins said they will not retain two other defensive assistants: defensive line coach Robb Akey and secondary coach Perry Fewell. The team also let go of head strength and conditioning coach Mike Clark. In 2016, the Redskins ranked 28th in the league in total defense (377.9 yards per game). The team gave up the most first downs in the league (368), and opponents successfully converted on 46.6 percent of its third downs against the Redskins -- also last in the league. The Redskins finished the season 8-7-1, missing the playoffs.